Gutters are a great investment for your home. With quality gutters installed on your home you can keep rainwater from seeping into the ground around your home. Rainwater can damage the foundation and structural integrity of your home. Gutters can prevent water damage and wood rot. All Storm Solutions is proud to have installed and cleaned gutters throughout the Chicago area. Take a look at our gutter services and how we can help you protect your home. All Storm Solutions also offers a number of roofing services including roof installation and roof repair. We want to ensure that your home stays protected from storm damage and water damage. Talk to our roofing specialists about how we can help. Ask us any question you may have about our services. Call All Storm Solutions today! Gutters are one of the greatest investments you can make on your home, they prevent water damage from rain. They are also extremely affordable. Take a look at how All Storm Solutions can install gutters onto your home. 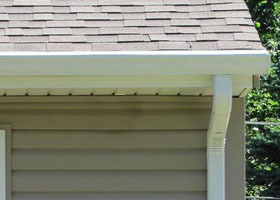 Seamless gutters are one of the most popular forms of gutters. They look beautiful and blend in with almost every home, making them virtually invisible. 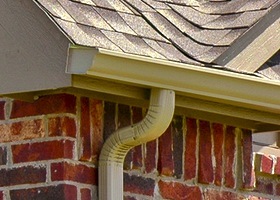 All Storm Solutions can install the best type of seamless gutters for your home.